Dirty round, rectangular or spiral ducts are breeding grounds for mold spores, bacteria, dust, pollen, viruses and other harmful deposits. 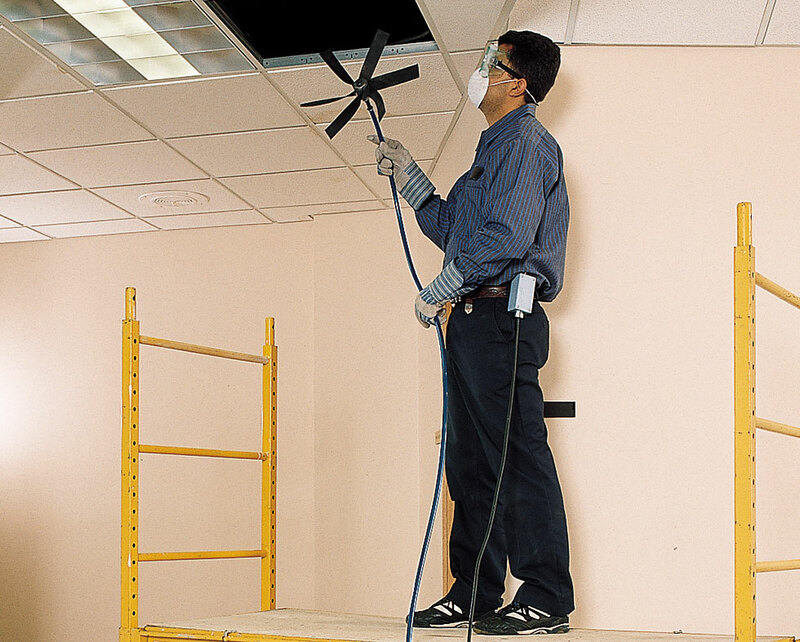 The AQ-R1500 Duct Cleaner makes duct cleaning a simple, one-person operation. It is ideal for cleaning ducts 4"-18" (100-460mm) I.D., round or spiral, and 4"-16" (100-410mm) rectangular/square in air conditioning, heating, ventilation and exhaust systems. The AQ-R1500 uses a cleaning brush mounted to the tip of a flexible shaft. A high air displacement vacuum - like our AQ-V-2M model - connected to the duct, removes deposits as they are loosened. 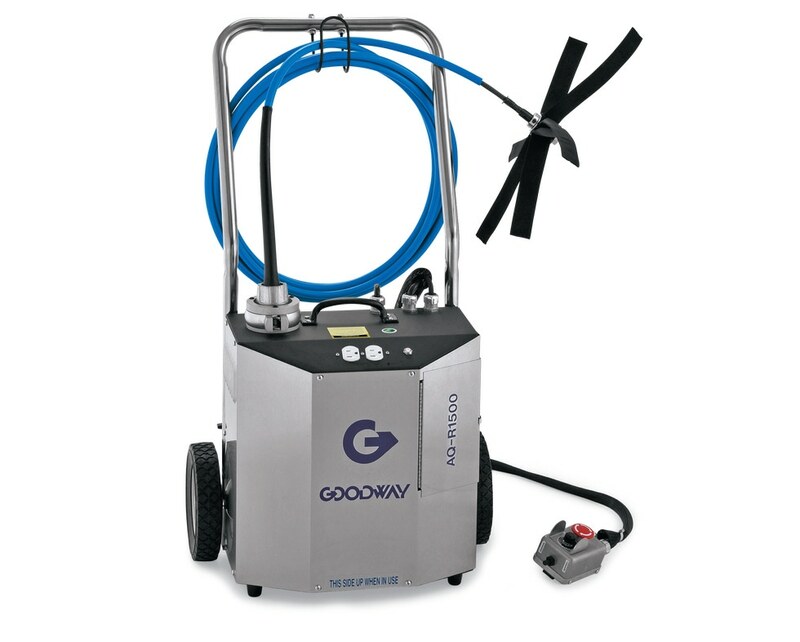 AQ-R1500 Duct Cleaner, HP (0.6 kW), adjustable speed control, mobile dolly, tool storage box and belt switch. Most IAQ problems are caused by inadequate ventilation, a source of pollution, or a combination of the two. Simply changing the filters on an HVAC system is not enough to protect building occupants from the effects of contaminated indoor air. Duct cleaning must be considered as a vital part, for better IAQ.